We’re living in the age of the empowered customer. That doesn’t just mean that people have more control over the food they buy and the subscriptions that they sign up to. Today’s consumers are also taking charge of their healthcare too. If your company, clinic or practice can’t convince people that you offer peace of mind and safety when they need it most, they’ll happily go elsewhere. In a world where everyone is connected to the internet, your customers and patients can seek advice, and learn more about your organization with nothing more than a couple of taps. If you don’t have the right presence online, then you risk customers questioning your credibility and your reputation. The best healthcare marketing campaigns don’t just convince people to come to you, and use your products and services, when they need help; they also build a relationship with your customers that leads to long-term loyalty. After all, how many people do you see changing their healthcare provider every other week? Consumers want specialists that they can rely on for years to come. That means that the connections you make both online, and offline could make or break your business. 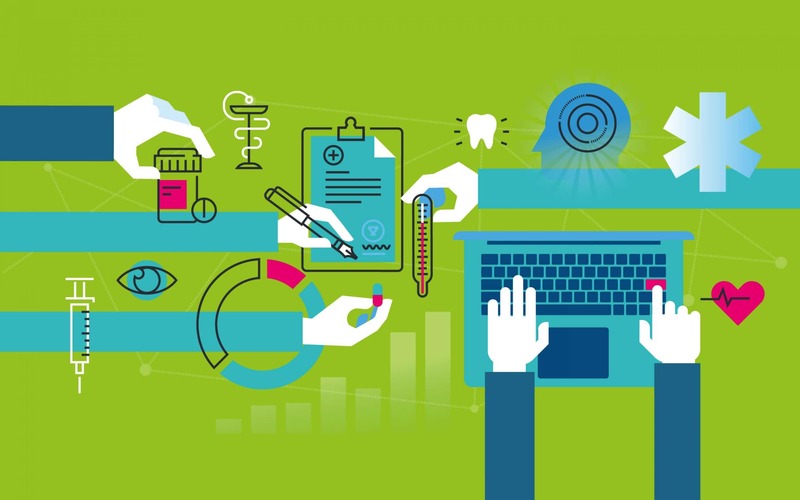 Is it time you gave your healthcare marketing strategy a much-needed checkup? The cure for better credibility: What is healthcare marketing? The answer to the question “What is healthcare marketing?” may seem obvious at first glance. Marketing is all about driving customers to your company via carefully-constructed plans intended to boost conversions and engagement. That means that healthcare marketing is the strategy that private providers use to keep their customers coming back to their products, practices or clinics. However, a healthcare marketing strategy can be a lot more complicated than your standard promotional plan. After all, you’re not just selling a one-off product or service; you’re trying to convince people that you deserve their trust. Medical providers don’t peddle material possessions, they promise quality of life, and in some cases, freedom from pain. The nature of healthcare companies and what they provide to their customers means that your organization automatically has a strong and compelling brand promise to share. However, to truly unlock the benefits, you’ll need to learn how to connect with your customers on a deeper level and answer the questions that they’re asking about your brand. 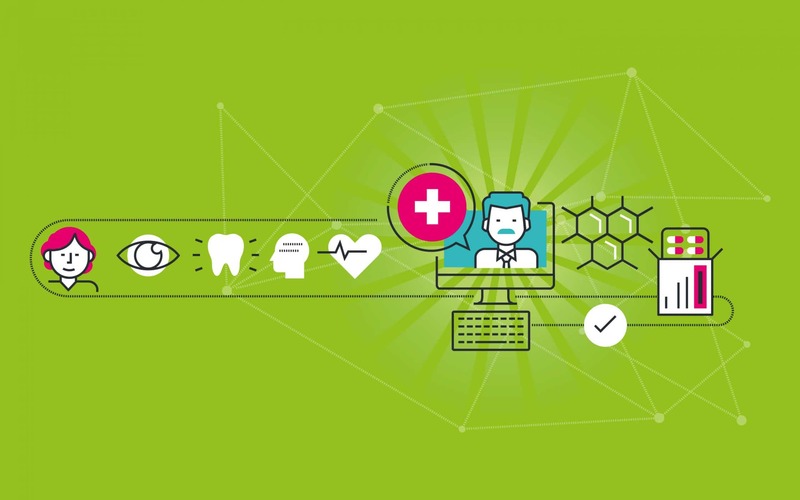 Today, digital healthcare marketing is on the rise, as more consumers begin to turn to the internet for help answering their medical questions. Pew Research Center reports suggest that 72% of internet users look online for answers to their health queries. Clinics, practices and private companies that develop their online presence have a unique opportunity to speak to their audience during this vital stage of the consumer journey. With content marketing, social media, and countless other healthcare marketing strategies, companies of all shapes and sizes can spread brand awareness and begin to build trust with their target audience. Even if you’re currently happy with your number of return patients, customers and clients, a healthcare marketing plan can ensure that you continue to maintain a strong volume of customers in the years to come. After all, as most healthcare industry professions know – an ounce of prevention beats a pound of cure. One of the most powerful components of any healthcare marketing strategy is ‘content’. 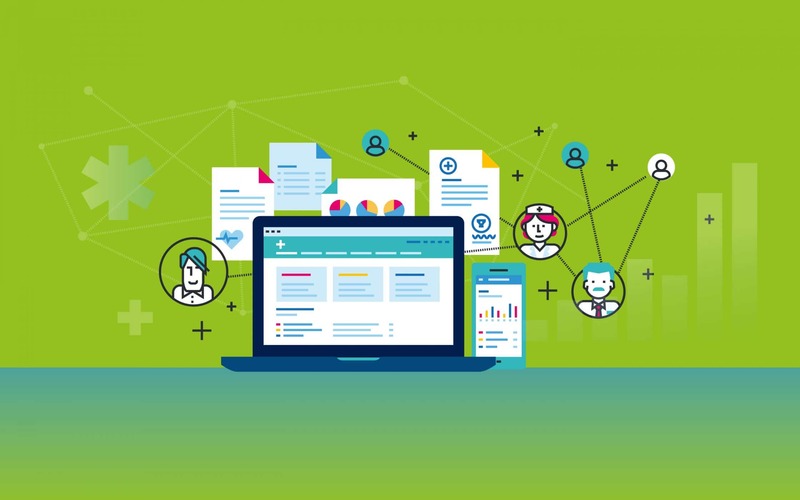 Everyone wants more medical information available to them in today’s data-driven world. According to statistics, around one in every 20 Google searches that customers make today is health-related. This is an excellent opportunity for people interested in digital healthcare marketing because you know that the demand for content is high. Developing and sharing useful information online not only improves brand recognition for your organization, but it could also establish you as a thought leader in your industry. This means that consumers are more likely to see you as a specialist, and potential partners may even ask you or your organisations to take part in seminars and conferences. Avoid absolutes and superlatives: Claiming that you have the ‘best’ oncology department or treatment could lead to problems with other companies in your area, and angry clients. Instead of using superlatives, make sure that you use facts, case studies, and additional valuable information to convey why you’re the best. Keep personal data out of testimonials: While social proof and word of mouth are great additions to any healthcare marketing plan, it’s crucial to stay in line with regulations. Remember that you can never use a person’s personal data in a case study or testimonial without their express permission. Avoid making guarantees: With medical negligence and other legal issues running rampant around the world, it’s important not to make any guarantees that imply a higher standard of care than you can truly offer. Educate all professionals on suitable messaging: Before you roll out your healthcare marketing campaigns, make sure that your employees understand the things that they can and can’t say when they’re online, or offline. A set of firm guidelines will be necessary here. Now you know how to keep your healthcare marketing campaign compliant, we can begin to explore the other essential components of a strong promotional strategy. Unlike most other industries, healthcare benefits from serving a vast audience. It’s hard to find a customer in the world today that’s not interested in better health. Of course, you’ve reduced your chances of struggling with excessive competition by choosing a specific niche like dental care or spinal care, and the good news is that you’ll always be appealing to a universal need. However, just because you’re in a good position with the service you’re selling, doesn’t mean there aren’t steps you need to take to improve your chances of success. Here are just some of the things that every strategy healthcare marketing plan needs. 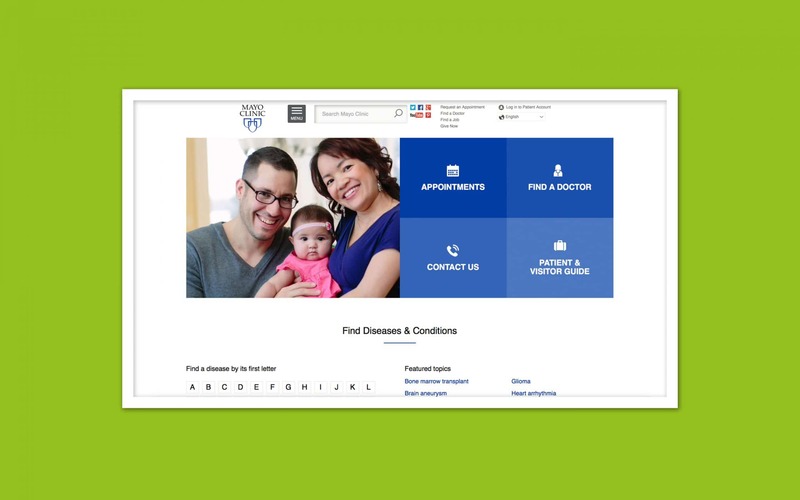 Every effective healthcare marketing strategy begins with a brilliant, easy-to-navigate website. Your site is where your customers, and other interested parties, will find crucial information about who you are and what you do. What’s more, your website is your opportunity to make a lasting first impression on your customers, clients and stakeholders. Even the most stunning website won’t have the right impact on your bottom line if your patients and clients can’t find it. One of the most crucial parts of your digital healthcare marketing strategy is SEO, or search engine optimization. This means making sure that your website has the right attributes to be attractive to your customers and the search engines. Finding competitive keywords and using them on your pages. Using inbound and outbound links in your blogs and copy. Making sure your website pages load quickly. A great blog goes hand-in-hand with a reliable website for strategic healthcare marketing. Around 1% of all Google searches are connected to medical symptoms, which equates to about 35 million searches per day. You can take advantage of those searches by writing blogs that answer the questions your customers are asking. The key to producing amazing blogs is knowing what your audience wants to read about. Research trending content in your industry, and make sure that you write with your user personas in mind, so you can ensure that you’re using the right tone of voice. 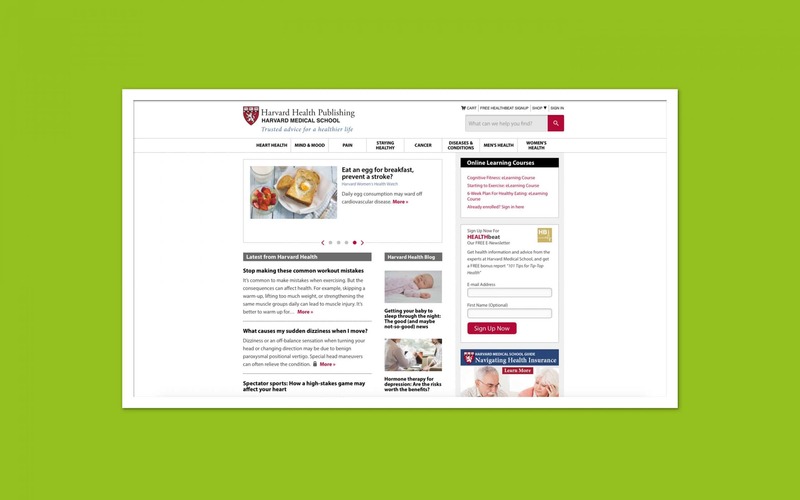 Harvard Medical School is an excellent example of a medical company that continually delivers fantastic information to their audience. The blog covers both trending topics in the health industry and crucial tips on everything from eating disorders to colds and flu. While it’s safe to say that plenty of people will already be out there searching for useful information, that doesn’t mean you can’t stay one step ahead with your lead acquisition and nurturing strategy. An email campaign where your target audiences can sign up to receive regular news about your organisations and updates from your blog is a win/win for customers and brands. From a consumer perspective, they have access to all the latest health and fitness information they need, within their email inbox. From a brand point of view, an email marketing strategy gives you a way to keep connecting with your customer base over time and convincing them to stick with you rather than trying a different healthcare provider. Written content will always be valuable in the digital world, particularly when it comes to things like SEO. However, if you want to connect with your audience on a deeper level, it makes sense to add a visual element to your healthcare marketing strategy. While infographics and other visual elements are great, there are few things more engaging than video. A third of online-activity is devoted to watching video today. Finally, since healthcare marketing is all about the connections you make with your clients and patients, it makes sense that a social media strategy would be a great way to upgrade your campaigns. If you’re not already active on places like Twitter and Facebook, then you could be missing out on a considerable number of potential customers. According to some studies, around 60% of social media users say that they’re more likely to trust social media posts by practitioners, and other industry professionals, than any other group. You can use your social campaigns to answer customer questions, talk to your customers and patients about their needs, and more. Many modern clinics even allow their customers to send them questions through the instant messaging tools on Facebook. The importance of ‘trust’ in healthcare marketing means that physicians and other health professionals often have to work much harder to earn new customers. Even if you offer nothing but incredible service every time your patient visits your clinic, one poorly-timed or worded message on social media could be all it takes to convince your clients that they should spend their money elsewhere. Here are just some of the ways that you can leverage your healthcare marketing strategy and develop promotional campaigns to build and preserve a stronger reputation online. Testimonials: Testimonials and reviews are a great way to show your future customers that you’re committed to their care. Make sure that the testimonials you collect are emotional, believable, and brimming with detail. Ratings: Many medical companies are beginning to use star ratings and other rating systems online to help customers make informed decisions. Track your scores carefully to make sure that your brand isn’t suffering online. Referrals: Which medical environment would you trust more? The one that you found online, or the one that was recommended to you by a friend? Encourage your happy customers to refer their loved ones in exchange for discounts and other special gifts. We know from consumer research that the average customer doesn’t buy something based on logic. Today’s clients and customers are looking for products and services that appeal to their emotional side. This can be particularly true when it comes to healthcare marketing campaigns. After all, dealing with illness and injury is an emotional experience. If you can zone in on the deep-seated motivations and emotional triggers of your target audience, then you could experience better customer retention. According to the 2018 Wunderman Health Inertia Study, fear and hope are the most lucrative emotions to target in the best healthcare marketing campaigns. Just be careful that you don’t let your marketing stray too far into the area of ‘fear mongering’. You don’t want panicked people storming your company or clinic. When people go online to search for a healthcare provider, they’re looking for someone with a particular attitude and set of skills. This means that you can’t merely be another generic business, clinic or practice – you need an identity that your audience can connect with. One of the easiest ways to build a brand identity with impact is to get to know your target audience first. Find out what kind of people need you most, what their concerns are, and what they demand from a provider like you. Once you fully understand your audience and their expectations, you can adjust your healthcare marketing messages and strategies to suit their individual needs. Consistency is critical in a good healthcare marketing strategy, but that doesn’t mean you should ignore the changes in the world around you. 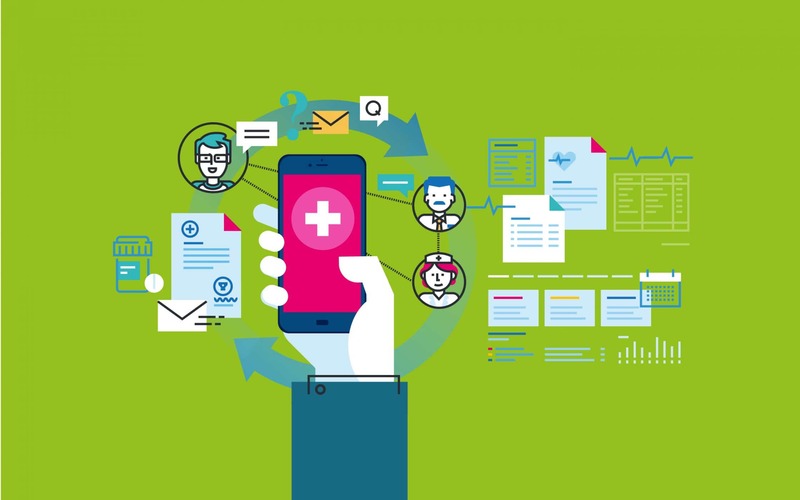 Social media has recently begun to transform the way that patients communicate with their healthcare providers, and countless customers expect appointment reminders and updates related to new products and services to be sent directly to their inbox or smartphone. Keeping an eye on the latest digital trends—and the evolutions in the medical industry—will help you to make sure that you don’t end up with an out-of-date healthcare brand. Just keep in mind that any new strategy you implement should appeal directly to your user personas. Don’t embrace something new just because it’s different. You’re almost ready to start exploring your healthcare marketing strategies. However, before you begin planning the months ahead, it’s worth taking a few tips from other healthcare organisations that have accomplished incredible things with the help of the right marketing campaign. At Fabrik, we’ve worked with numerous healthcare brands and providers, so we know a fantastic example of advertising when we see it. Here are our insights into some of the best healthcare marketing campaigns and what you can learn from them. In an attempt to raise awareness about breast cancer, the Carilion Clinic of Virginia started a fantastic hashtag campaign called #YesMamm. Though the clinic was only small at the time, it helped to drive a massive reaction on Twitter, which also drove customers back to the Carilion Clinic website where they could make an appointment at a local screening centre. The #YesMamm campaign was an incredible example of what you can accomplish when you know your customers and the channels they use. The United Healthcare campaign ‘We Dare You’ is probably one of the best known and most frequently cited healthcare marketing strategies on the web today. The campaign was all about getting people involved with their healthcare plan and teaching them more about wellness. 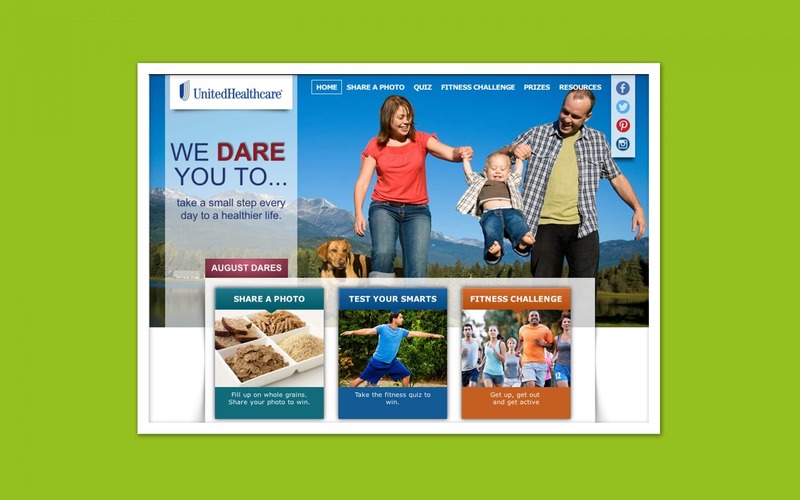 United Healthcare kept their customers up-to-date with monthly ‘dares’ prizes, and quizzes on their website, and they also encouraged followers to make meaningful, yet small changes to their routine to ensure better health. Healthcare marketing doesn’t have to be all about social media! There are plenty of ways that you can connect with your audiences, including through informative podcasts. A podcast is a fantastic way for many professionals to share useful information with their audience, without investing in expensive agency services or equipment. What’s more, people can listen to your messages on-the-go. 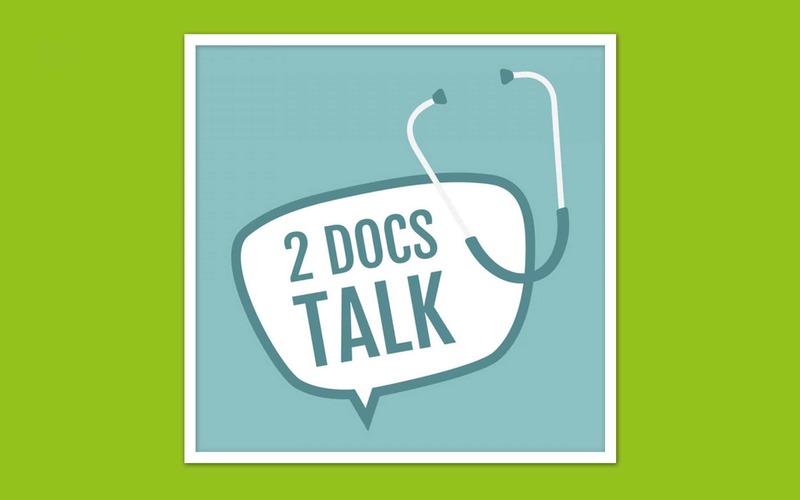 The 2 Docs Talk podcast is a regular podcast that helps two great doctors simultaneously share useful information about health, and drive people towards their services at the same time. If you’ve been looking for a content marketing strategy that goes beyond blog posts, but you’re not quite ready for video yet, then a podcasting strategy could be the ultimate middle-ground. In the age of the empowered customer, it’s up to you to convince your audience that they can trust you to offer the level of care and support they need. A healthcare marketing strategy is something that every medical company needs – whether you run a standard clinic, or you’re a specialist providing help with specific ailments or injuries. After all, according to studies, today’s patients have the same expectations from their healthcare companies as they do from everyday brands. That means your clients don’t just expect a high-quality of service when they visit your practice, they also want you to connect with them on the channels that they use every day. 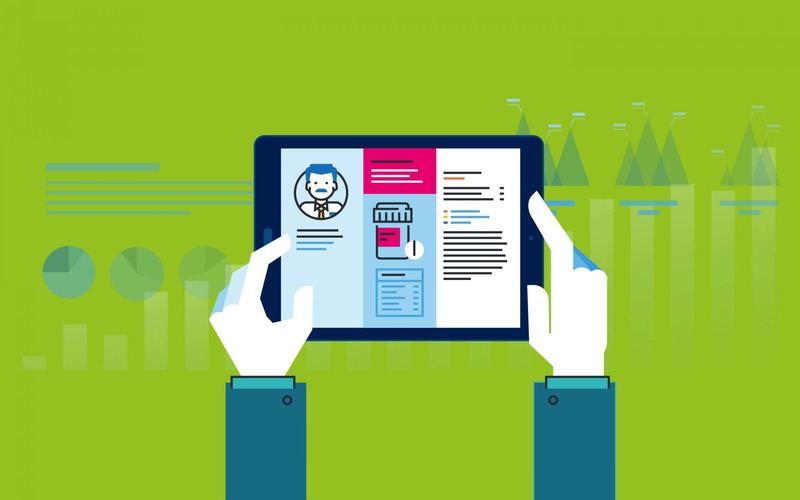 Unlike many industries, people in the medical community have a unique opportunity to connect with their customers on a much more emotional, and immersive level. When you reach out to your clients in the medical space, you’re offering them something that can potentially change, or even save their lives. However, with this opportunity comes a higher level of responsibility for healthcare providers too. You need to make sure that you have the right healthcare marketing strategy and implementation plan in place to earn and keep your customer’s trust, without promising more than you can reasonably deliver. 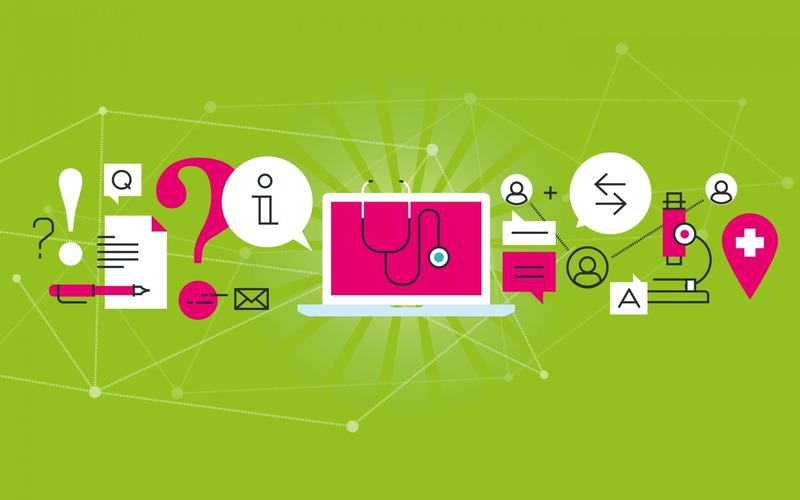 Is it time to give your healthcare marketing strategy a checkup? If so, reach out to Fabrik! —Viral marketing: How to get the brand-boosting bug! With pressure on the NHS rising, people who may be in the past wouldn’t have looked for alternative healthcare solutions, are starting to explore options for their healthcare. It’s a potentially massive target market and any company that wants a piece of it has to be able to sell themselves as providing something that a person’s traditional healthcare provider is currently failing to give them. Show people why you’re better and you’ll have plenty of loyal customers! Healthcare marketing is difficult because traditionally, healthcare has only had one voice and it hasn’t always been that on trend. Now, healthcare marketing needs a louder voice because there’s more to compete with; from digital advancements to the competitive nature of the current comms landscape. So many brands claim such bold statements and command such authority that there’s quite a lot of scrutiny about what we read online, see in adverts and see in the press. Healthcare marketing is ultimately one of the most important as it helps to save lives so it’s vital that it gets done right! Healthcare is too important to not market and promote correctly. There are so many places people can choose to go to for their health and a few of those places are dangerous; the internet, dodgy clinics etc. With the issues facing the NHS, rise in certain illness and a push towards to healthier living, healthcare marketing is being scrutinised as well as desperately wanted and needed across the nation. The nature of communication, marketing and branding is changing and healthcare marketing MUST keep up with it in order to help people make the right decisions as well as to help your business.